John H. Watson, known as Dr. Watson, is Sherlock Holmes’ friend and assistant. He is the narrator in 56 of the 60 Sherlock Holmes stories. In A Study in Scarlet we learn that he received his medical degree from Barts and The London School of Medicine and Dentistry at the University of London in 1878, and then trained at Netley as an assistant surgeon in the British Army. He joined British forces in India, served in the second Anglo-Afghan War, and was wounded at the Battle of Marwan in July 1880 by a bullet to the shoulder. After recovering from his injury and a bout of dysentery, he eventually returned to England to live on a small army pension. In 1881, a friend introduces him to Sherlock Holmes who is looking for someone to share rent at a flat in 221B Baker Street. 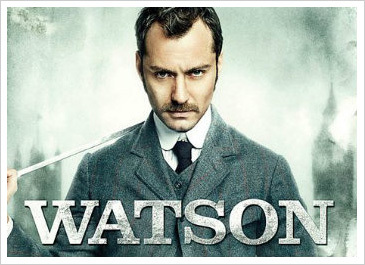 Soon Watson becomes Sherlock Holmes’ friend and confident. 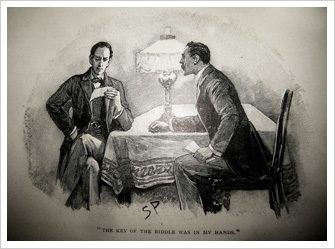 In The Sign of the Four, we learn that John Watson becomes engaged to Mary Morstan but she has died by the time Holmes returns after faking his death. We find out later that he has a wife but we never learn her name or meet her. John Watson, while lacking Holmes’ extraordinary insight, is an intelligent man. He is also considered an excellent doctor and surgeon, especially by Holmes. In A Study in Scarlet, having just returned from Afghanistan, John Watson is described "as thin as a lath and as brown as a nut”. In subsequent stories, he is variously described as strongly built, of a stature either average or slightly above average, with a thick, strong neck and a small moustache. Watson used to be an athlete: it is mentioned in "The Adventure of the Sussex Vampire" (1924) that he used to play Rugby Union for Blackheath. 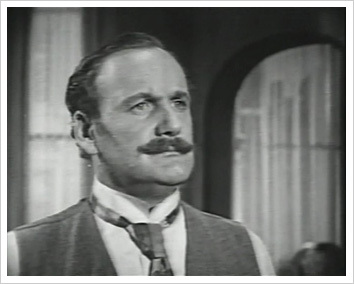 In The Adventure of Charles Augustus Milverton (1899) Watson is described as "a middle-aged, strongly built man-square jaw, thick neck, moustache..." In His Last Bow set in August 1914 Watson is described as "a heavily built, elderly man with a grey moustache."